Twenty One Pilots have released “Levitate,” the third song from their upcoming album Trench. The band has also released a video for the song, which continues the storyline of “Jumpsuit” and “Nico And The Niners,” the first two songs from their fifth studio album, which were released last month. 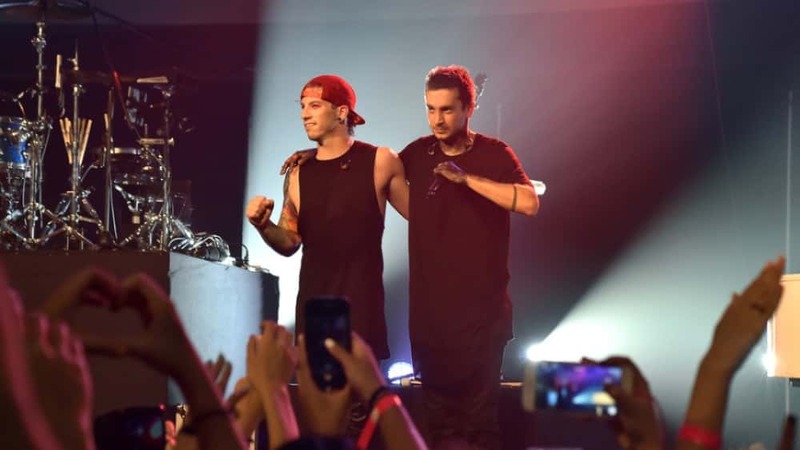 Last month, Twenty One Pilots made headlines when they broke the record for the fastest rise to the top spot on Billboard‘s Alternative Songs radio airplay chart. The band will promote their album on a world tour set to launch on October 16 in Nashville, Tennessee. The North American leg will conclude on November 21 in Kansas City, Missouri, after which the band will head to Australia, Russia, Sweden, Denmark, Germany, Switzerland, the U.K, Spain and Portugal. Trench is due out on October 5.